A trio of homers and another fine pitching performance gave Corpus Christi a 5-1 win over San Antonio in Game 2 of the TLDS Thursday night at Whataburger Field. Getting the ball for the Missions Thursday was Emmanuel Ramirez, who sought to pitch his team to a series-evening win. Ramirez's night got off to an inauspicious start, however, as Chas McCormick took the right-hander's third pitch over the wall in left. In his next at-bat in the third, McCormick pushed the Hooks lead to 3-0 when he connected on a two-run shot to left. Ironically, McCormick entered the TLDS with just two homer in 69 games this season for Corpus Christi. Ramirez was solid otherwise Thursday, scattering eight hits and issuing just one free pass over six innings. Negating his seven strikeouts in Game 2, however, was the long ball. Ramirez (0-1) allowed a third dinger in the fifth when Stephen Wrenn's high fly ball stayed just inside the left field foul pole. San Antonio had another difficult time offensively. A night after managing just four hits, the Missions collected just four more on Thursday. All-star righty Corbin Martin (1-0) allowed just one hit and one walk, while punching out nine over five and two-third shutout innings. Catcher Lorenzo Quintana capped the Hooks' scoring in the eighth against right-hander Trevor Megill with a sacrifice fly to left. Austin Allen broke up the shutout bid in the ninth with a solo dinger to right off reliever Ronel Blanco. 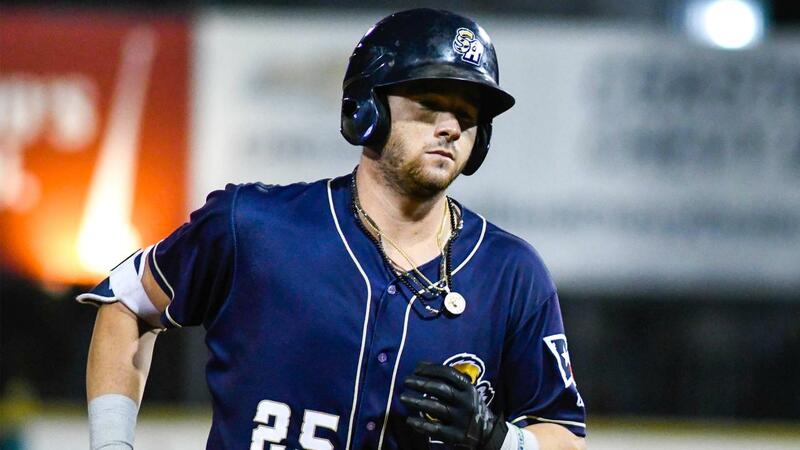 The Missions put two men on base after the Allen dinger, but Blanco retired Taylor Kohlwey on strikes to end the game and give his squad a 2-0 series advantage. The series returns to the Alamo City Friday for Game 3. First pitch from Wolff Stadium is slated for 7:05 PM. Right-hander Jesse Scholtens (7-4, 3.00) will get the ball for the Flying Chanclas as the club returns to its Copa persona one final time in the hopes of extending the series. The Hooks look to advance to the Texas League Championship Series with former Alamo Heights High School star righty Forrest Whitley (0-2, 3.76).